Universal Islands of Adventure 2019 - Harry Potter Coaster : Theme Park News & Construction! I'm a bit sad about this closing as it's one of the most iconic rides ever, but I am glad it's being replaced by a coaster at least. The rumors right now point to an Intamin motorbike coaster like Juvelen. I just went to Universal Orlando for the first time this weekend and I actually loved the red side. It was my favorite coaster in the resort. The blue side was straight garbage, though. I'd be excited to see what they can come up with that would actually fit the Harry Potter theme. Dragon Challenge was the ride that turned me into a coaster enthusiast so I'm sad to see it go. I unfortunately don't see it being relocated since it's been running almost every day for 18 years and has too much wear and tear to make it worth it. Yeah the red Dragon is probably my favorite B&M Invert. The big floater airhill and wrap-around Immelman are so unique. It's sad, but I've ridden both dragons upwards of 20 times so it's not devastating. I'm trusting Universal to put an epic roller coaster in its huge footprint. Both parks have plenty screen-based immersion rides/coasters. 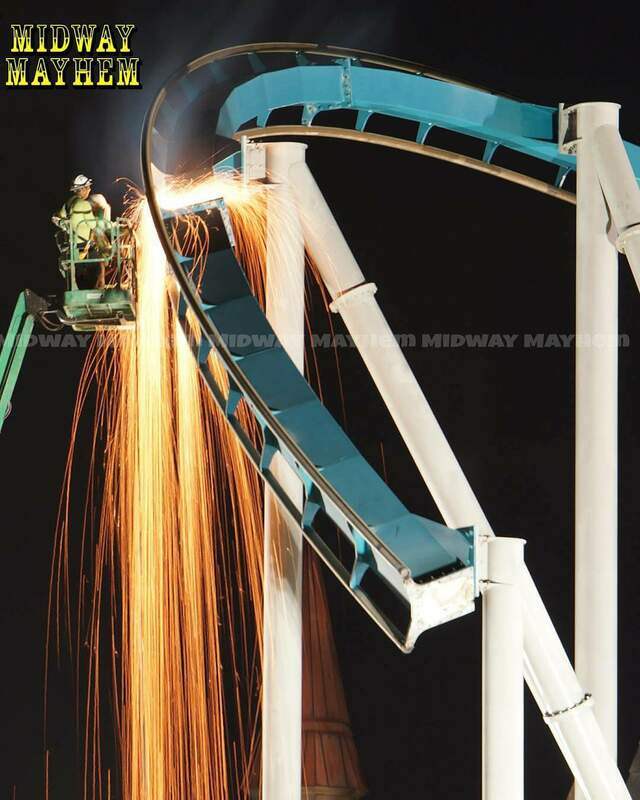 I hope they will make this a game-changing roller coaster to keep themselves at the top of thrills in Florida. Also can we just take a second to applaud the Universal Orlando campus for never staying the same for any consecutive 6 month period Maybe not every decision is perfect, but at least they never stop evolving. Just for some nostalgia let us never forget one of the best entrances ever. I'm a bit bummed I never got to ride this as the ride was closed for maintenance when I was there almost 6 years ago (I caught the ride just as they began testing it without dueling). Has a B&M ever been scrapped before? I think this would be a first. I'm trusting Universal to put an epic roller coaster in its huge footprint. I'm afraid Universal has already stated a family-friendly ride will takes the place of Dragons. Well, if you don't count the full-track-replacement of Hulk, this would be indeed the first. All other B&Ms that were removed from a park are currently operating elsewhere. I'm trusting Universal to put an epic roller coaster in its huge footprint. Both parks have plenty screen-based immersion rides/coasters. I hope they will make this a game-changing roller coaster to keep themselves at the top of thrills in Florida. You trust Universal a lot more than I do. I'll be stunned if this is anything other than a very large, highly themed family coaster. 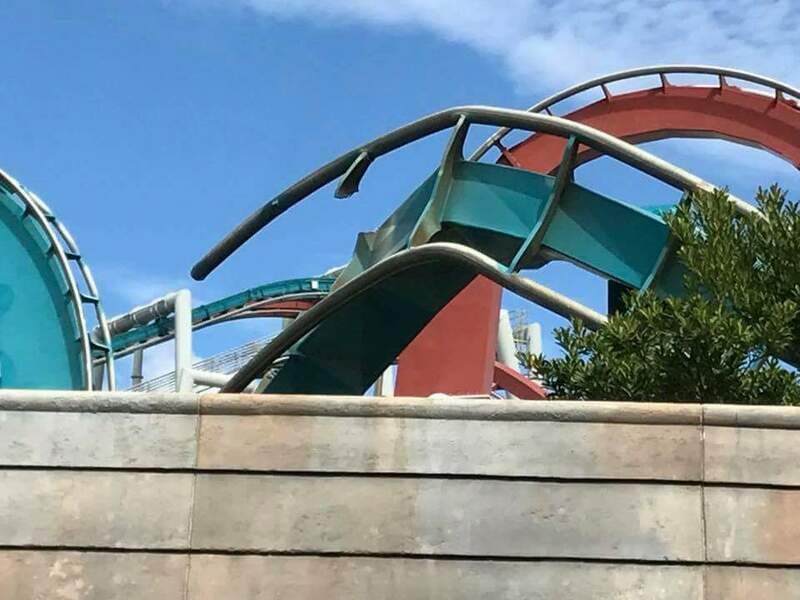 Even though many of us knew it was inevitable, I'm sad that Dueling Dragons (we can now all officially pretend the whole Dragon Challenge thing never happened) is leaving. Fire Dragon was my second favorite invert out of all those in the US and Ice was better than a fair amount of them too. 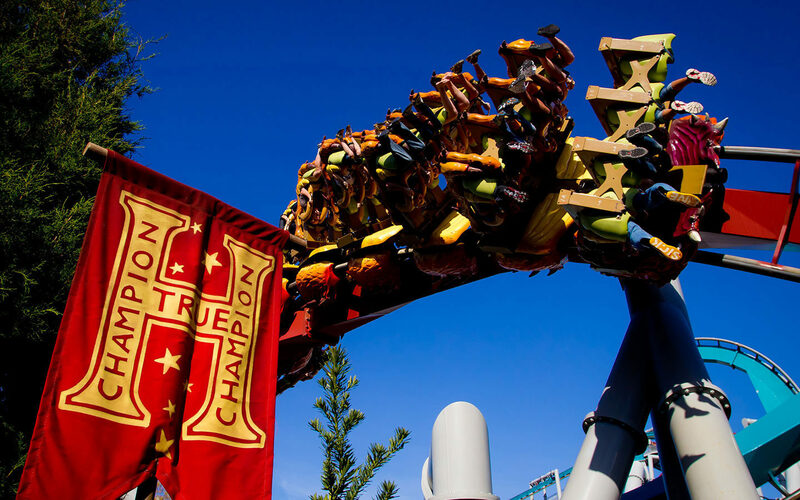 Who's to say that a new coaster as equally grand as the Dragons wouldn't be fun for the whole family? My family enjoys massive steel coasters. I also hope it's a thrilling game-changer because SeaWorld has a few good ones, Universal is now going to be lacking that. Hulk is great but it's not a complete package like the Hulk and the Dragons together. I trust them because they just quite literally vomited out one of the most incredible water parks in the world, absolutely full of thrilling water slides. Their two amusement parks in Orlando have been focusing on family/immersion type rides for many many years and I think they feel that. They're not dumb. They know they're getting rid of two of their strongest, most popular roller coasters company-wide. I know it says "fun for the entire family," but it also says "action packed adventure with a few surprises." I have to trust that they will not disappoint. Well that's a bit disappointing. I'm glad I got to ride it when it had the original entrance still, though I wanted to go back at some point and ride the newly themed version. I'm glad I got to ride both sides when it still dueled. That was definitely the best part of the entire ride. Both rides as a stand-alone wouldn't be nearly as good. Bummer to see it going, but with the dueling part already taken out of the ride. It was inevitable. Personally I hope they put something worthy back, as mentioned above me. The park could definitely use a good thrilling ride back in it's place. As with the removal of this one, It's definitely going to lack some in that area. 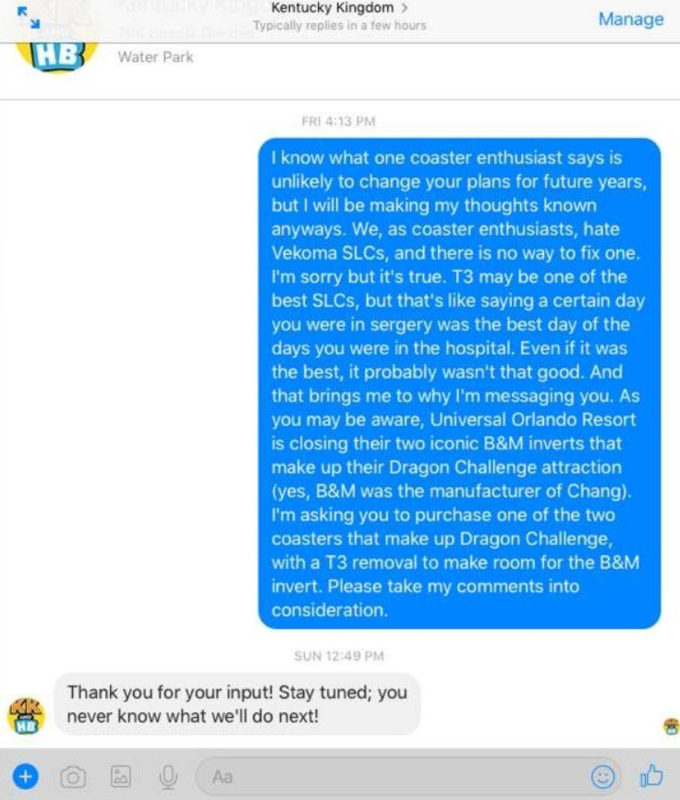 I found a screenshot someone on TPR took of a FB conversation of someone wanting KK to replace T3 with one of the Dragon Challenge coasters. Made them stop dueling instead of engineering a solution for loose articles. Went all 1942 Germany and added metal detectors and hand wands operated by the SS for loose articles, requiring you to remove your belt. Charging for lockers for said loose articles when the line exceeds the free locker period. Not doing ANY updates to the ride when Harry Potter was built except paint. I stopped reading at "T3 may be one of the best SLCs". Pure lies, it's the worst to date. 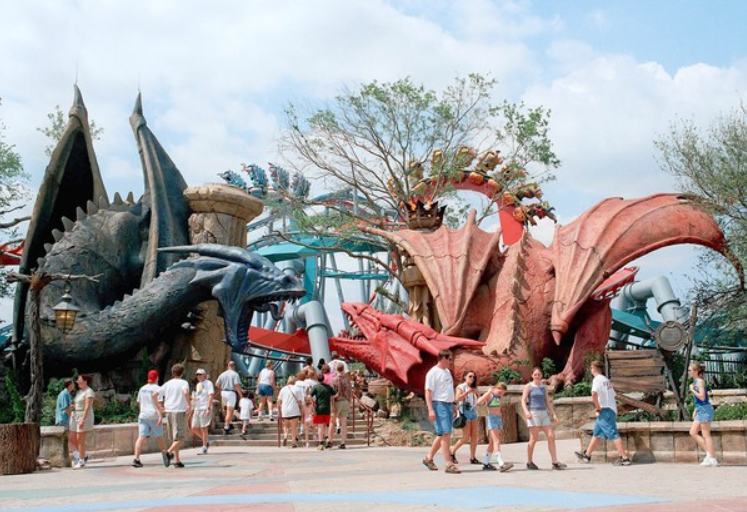 If Kentucky Kingdom replaced their SLC with one of the Dragons that would be hysterically awesome. I just find it really unlikely for some reason. I'm still sad to see these go now. They are awesome rides, whether they were dueling or not. I'm glad I don't work at a theme park and have to deal with that kind of drivel everytime I turn up to work. Yeah the metal detector thing always seemed a big excessive to me. ^ It appears to be the process of scrapping track pieces, not removing them one by one ( ) for a better relocation! This ride had to many cycles on it to salvage. It was going to have to meet the same fate as hulk. I think if I had to choose between hulk and dragons, I am going to take hulk any day of the week.